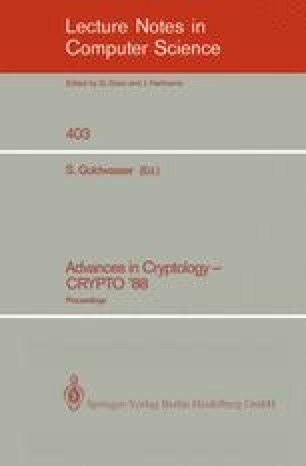 Non-Interactive Zero-Knowledge Proof Systems have been proven to exist under a specific complexity assumption; namely, under the Quadratic Residuosity Assumption which gives rise to a specific secure probabilistic encryption scheme. In this paper we prove that the existence of any secure probabilistic encryption scheme, actually any one-way encryption scheme, is enough for Non-Interactive Zero-Knowledge in a modified model. That is, we show that the ability to prove a randomly chosen theorem allows to subsequently prove non-interactively and in Zero-Knowledge any smaller size theorem whose proof is discovered. Work done at IBM while on leave from Dipartimento di Informatica ed Applicazioni, Universita di Salerno, 84100 Salerno, Italy.